This video is a strong reminder of how a global economy doesn't mean everyone gets to enjoy the fruits of their labor, even when it comes to something as common as chocolate. 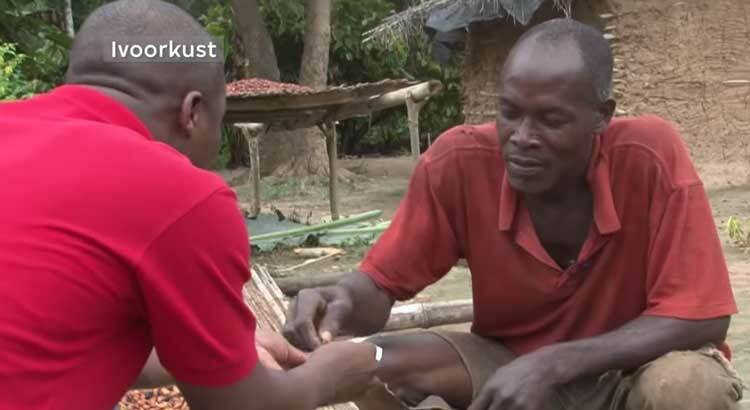 Cocoa farmers on the Ivory Coast earn their living growing the beans. It's hard work and they earn very little money for their harvest. Many of them do not even know what the cocoa beans are used for. So when this journalist gives them chocolate for the first time, it's a revelation. Watching their reactions, is a revelation to the viewer too.